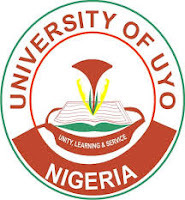 This is to inform students of University of Uyo (UNIUYO) that the management of the university has approved the commencement of the 2017/2018 Academic year for all freshmen with effect from Monday January 8, 2018. All freshmen are requested to report to their respective faculty centers with their acceptance fee receipt from Monday January 8 2018 for the screening of their original credentials. They will be cleared thereafter to pay fees before registration online. Lectures for all freshmen commence on Monday January 15, 2018. All freshmen are expected to complete the registration exercise within three (3) weeks with effect from Monday 15 January 2018 to February 02, 2018. Thereafter Registration with penalty will commence from Monday February 05, 2018.